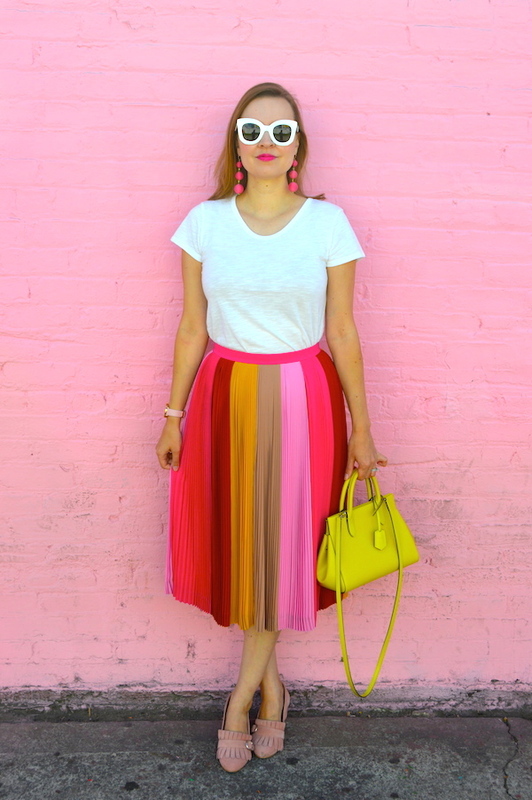 I have been waiting for so long to wear this obmre printed pink skirt! 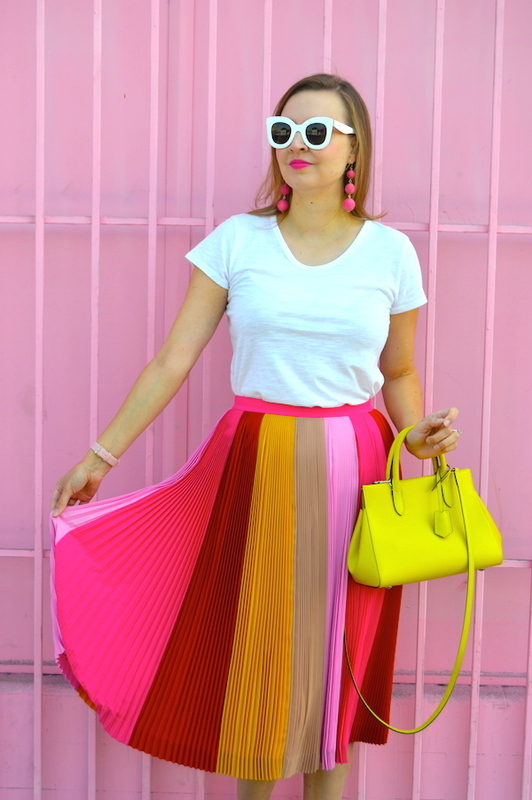 Given that I was going to the Museum of Ice Cream in Los Angeles, it only made sense that I debut this skirt at that time, given its sorbet array of colors! 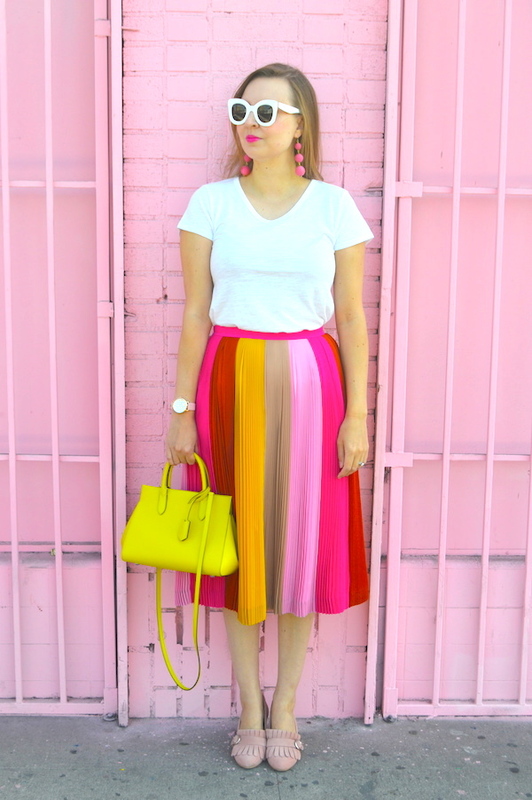 Have no fear, though: I will have many more pictures chronicling my ice cream odyssey at the museum in a later post on this blog, but for now I just want to give this skirt the spotlight! 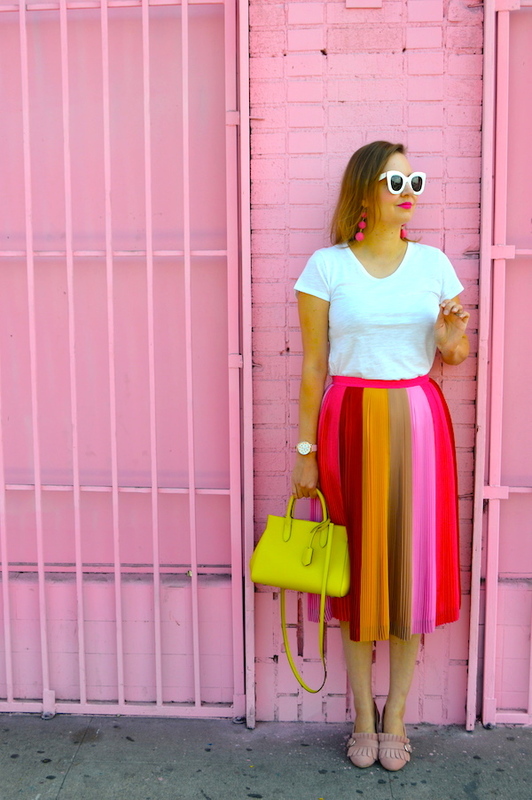 In order to really let this skirt shine, I decided to pair it with a simple, classic white shirt. It would also look great with a myriad of other colors from yellow to khaki, the latter being how it is styled on the J. Crew website. I also opted for these light pink loafers. I'm going to confess that I have developed a little bit of loafer fever as of late! From velvet to suede, I want them all! I'm grateful to Gucci for bringing back the loafer, as clearly the shoes I have on, which are actually from ASOS, are a fantastic dupe for the Gucci ones! 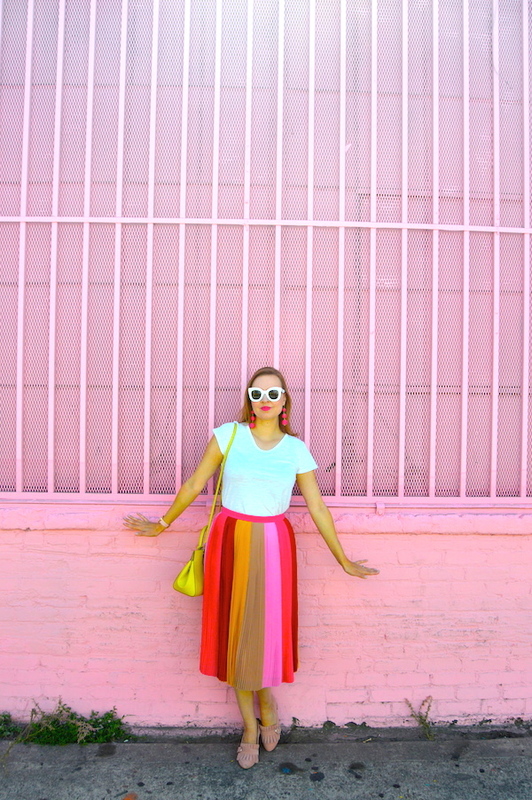 Last of all, how perfect is this pink wall? It gives that infamous pink Paul Smith wall a run for its money! Unfortunately, this wall is largely covered with graffiti now, so it was difficult to find some parts that were purely pink. I know what you might be thinking: maybe the graffiti could have given some street cred to my ensemble? Well, perhaps that's true, but I wanted to go for the pure, unadulterated pink that's as pretty as strawberry ice cream, so I did! Speaking of which, stay tuned next week for my epic photo odyssey of The Museum of Ice Cream! Such a cute look! The skirt is so pretty! 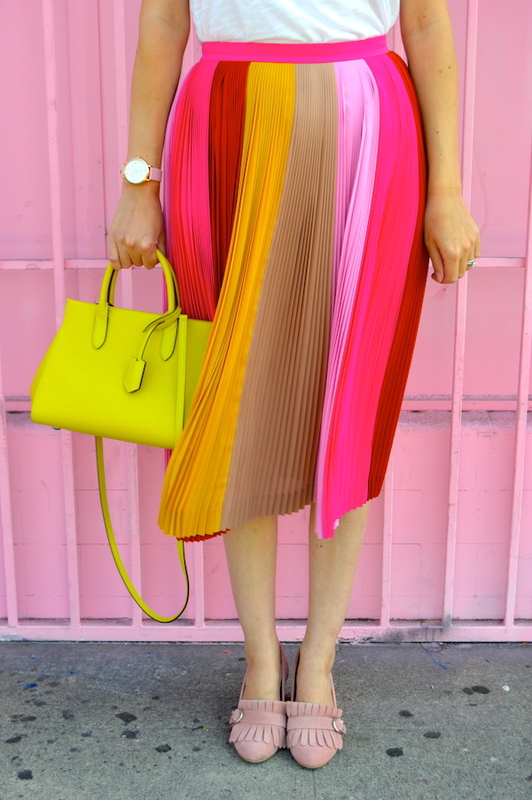 Such a fun skirt. I love that you styled it with a simple white tee!